Providing you the best range of animal figured decorative corner tables pillar stand, decorative santa table statue & showpiece decorative gift item, beautiful lady table statue and showpiece decorative gift item, brass look elephant table statue/showpiece decorative gift, elephant with glass top table showpiece decorative gift item and tribal lady table statue & showpiece decorative gift item with effective & timely delivery. we manufacture decorative Animal figured corner table/Piller/Stand.these are made by marble powder, fibre and polyresin material. And Hand painted by our expert team of artist.We use high grade colors. Packaging Details: These pillar is packed in corrugated box are further packed in a carton for safe transportation. 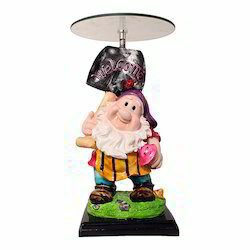 Decorative Santa Table Statue/ Showpiece are specially designed to make it much more attractive and decorative. These Decorative Santa Table Statue/ Showpiece are manufactured using one of the most durable and exclusive quality raw materials which makes it much sturdy and long lasting. Our Decorative Santa Table Statue/ Showpiece are available for our clients at a very reasonable range of prices.
" Decorative Santa Table Statue/ Showpiece Standing Statue/ Toy for Christmas Gift/ H ome/ Office Décor "
Beautiful Lady Table Statue/ Showpiece are specially designed to make it much more attractive and decorative. These Beautiful Lady Table Statue/ Showpiece are manufactured using one of the most durable and exclusive quality raw materials which makes it much sturdy and long lasting. Our Beautiful Lady Table Statue/ Showpiece are available for our clients at a very reasonable range of prices.
" Lady Flower Vase / Nigro Flower Pot statue showpiece Romantic Decorative Handicraft Figurine Home Interior Decor Items / Table Decoration Idol - Gift Item for Girlfriend / Wedding / Anniversary / Marriage / Engagement / Valentine "
Brass Look Elephant Table Statue/ Showpiece are specially designed to make it much more attractive and decorative. These Brass Look Elephant Table Statue/ Showpiece are manufactured using one of the most durable and exclusive quality raw materials which makes it much sturdy and long lasting. 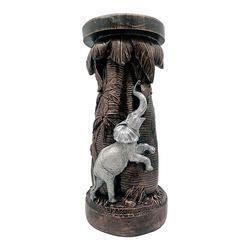 Our Brass Look Elephant Table Statue/ Showpiece are available for our clients at a very reasonable range of prices.
" Elephant / Wild Animal Fengshui Home Décorative Statue Showpiece Sculpture Lucky Figurine House Warming Gift & Home Decor Congratulatory Blessing Gift Item feng shui gifts "
Elephant with Glass Top Table Showpiece are specially designed to make it much more attractive and decorative. 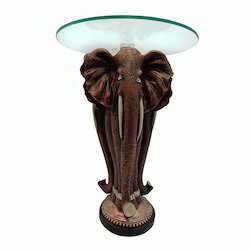 These Elephant with Glass Top Table Showpiece are manufactured using one of the most durable and exclusive quality raw materials which makes it much sturdy and long lasting. Our Elephant with Glass Top Table Showpiece are available for our clients at a very reasonable range of prices.
" Elephant / Wild Animal with Glass Top Fengshui Home Décorative Statue Showpiece Sculpture Lucky Figurine House Warming Gift & Home Decor Congratulatory Blessing Gift Item feng shui gifts "
Tribal Lady Table Statue/ Showpiece are specially designed to make it much more attractive and decorative. These Tribal Lady Table Statue/ Showpiece are manufactured using one of the most durable and exclusive quality raw materials which makes it much sturdy and long lasting. Our Tribal Lady Table Statue/ Showpiece are available for our clients at a very reasonable range of prices.
" Multicolor Beautiful Lady /Women statue showpiece Romantic Decorative Handicraft Figurine Home Interior Decor Items / Table Decoration Idol - Gift Item for Girlfriend / Wedding / Anniversary / Marriage / Engagement / Valentine "
Elephant with Glass Table Statue/ Showpiece are specially designed to make it much more attractive and decorative. These Elephant with Glass Table Statue/ Showpiece are manufactured using one of the most durable and exclusive quality raw materials which makes it much sturdy and long lasting. Our Elephant with Glass Table Statue/ Showpiece are available for our clients at a very reasonable range of prices. 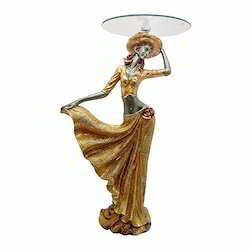 Lady with Glass Top Table Statue/ Showpiece are specially designed to make it much more attractive and decorative. 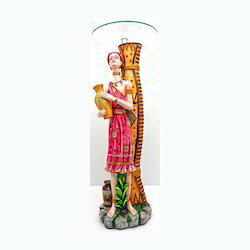 These Lady with Glass Top Table Statue/ Showpiece are manufactured using one of the most durable and exclusive quality raw materials which makes it much sturdy and long lasting. Our Lady with Glass Top Table Statue/ Showpiece are available for our clients at a very reasonable range of prices.
" Multicolor Beautiful Lady /Women statue with Glass Top showpiece Romantic Decorative Handicraft Figurine Home Interior Decor Items / Table Decoration Idol - Gift Item for Girlfriend / Wedding / Anniversary / Marriage / Engagement / Valentine "